A chance to grab hamburgers from White Castle isn't the only thing motivating Jasmine Moore when she arrives in Ypsilanti, Michigan, for the AAU Junior Olympic Games this weekend. 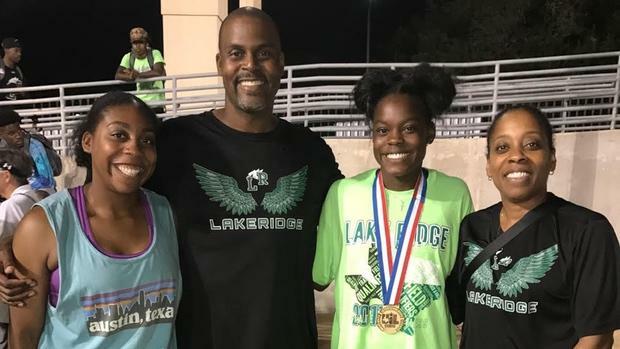 The Mansfield Lake Ridge (Texas) High rising junior will be competing for Detroit-based Motor City Track Club for the first time in her athletic career. Moore is arguably the most talented girls jumper in the nation, having placed third at the Pan American Junior Championships in Peru and second at the USA Junior National Championships in the triple jump. 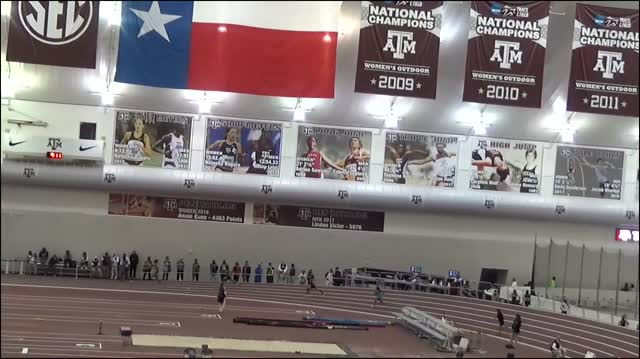 She repeated at the Texas state University Interscholastic League Championships in both the long jump and triple jump in 2017, and later scored a New Balance Nationals title in the triple in a US No. 2 mark of 43-7.25. "I've always wanted to wear the Motor City uniform," she said. "Just because my parents ran for them and I feel like that would be a really cool thing." Truth be told, though, it will also present a full circle moment for the freshmen and sophomore class record holder in the girls triple jump. 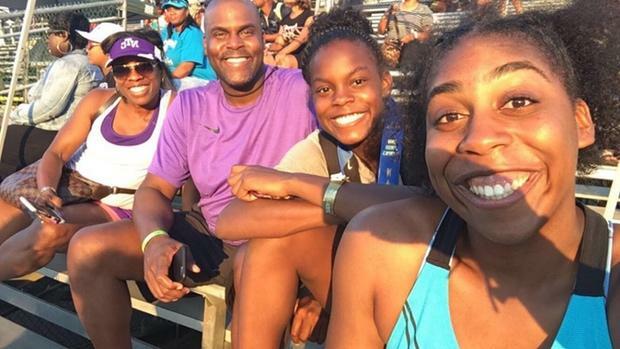 Moore's parents, Earl and Trinette, first began their track and field careers with the famed club nearly 30 years ago under Robert Lynch, who still coaches the club today, and later gave birth to Moore in Detroit. After moving from Michigan to Kentucky 2005, and then to Texas in 2007, Moore has spent most of her adolescence in the Lone Star State, even competing for just one youth club during her career, the North Texas Cheetahs. 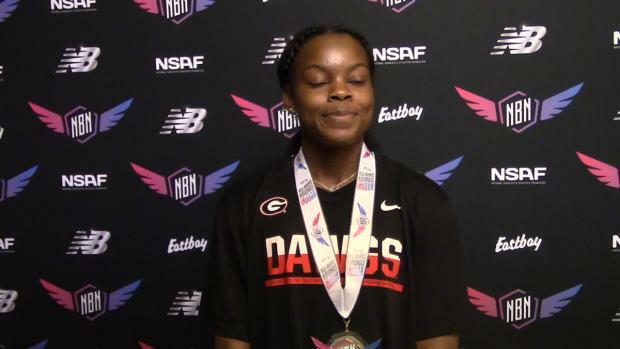 But because the Cheetahs compete in USATF events, Moore, who competes in the age 15-16 division, has only competed one other time at the AAU Junior Olympic Games, back in 2015 in Norfolk, Virginia, and did so unattached, winning both the long and triple jump. So the opportunity to compete in front of family and friends who still live in Detroit, in her native state, wasn't an opportunity Moore wanted to pass up. She qualified for the AAU Junior Olympic Games by winning the long jump and competing in the 4x100m relay at the Region 12 meet in Detroit. "I'm pretty excited," Moore said. "I've never competed in front of all of my family and they obviously don't get to see me as much as my parents do, so my whole family is excited to compete." Moore's family pedigree began in Detroit with Motor City Track Club under Lynch. It was there, Earl said, where the club gave him a sense of place and helped broaden his opportunities beyond high school. "If it wasn't for Coach Lynch," Earl said. "I probably wouldn't have gone to college. He gave me a chance to earn a Division I scholarship and to see him still going, it's pretty amazing. He has the legacy still going." Earl went on to compete for Western Michigan University in the 110m high hurdles, while Trinette competed at Florida State University in the long jump and 4x100 meter relay. Jasmine's mother still owns the No. 2 all-time record in the long jump in the state at 19 feet, 8 inches, which she last accomplished in 1989 in Ypsilanti -- on the exact site where Moore will be competing at the Games. "To have your youngest kid compete for the same team, it's amazing," Earl said. Jasmine's personal best is 20 feet, 4 inches, while her triple jump best -- a sophomore class record -- is 43-7.25. Family accomplishments will be on the line, too. "It will be very sentimental experience and a very big moment for their family, to see her jump," said Motor City Coach Brandon Jiles, who coaches alongside Lynch and is also a former member of Motor City Track Club. 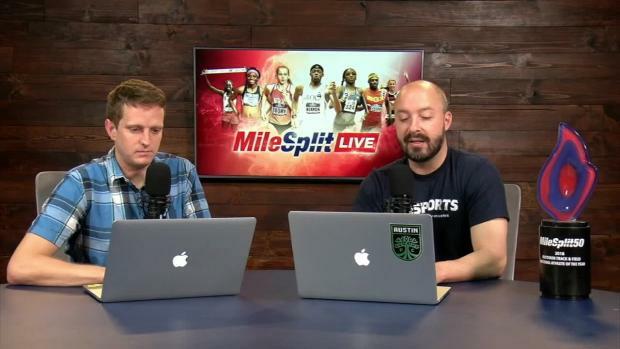 "More than likely, she's going to win a national title and probably break a national record. So it's a huge moment for their family in general." In recent years, Moore has had less time to see family in Detroit, in most part to her busy offseason schedule of track meets. When the chance to compete for Motor City came up, Earl said, the family jumped at the chance. But it still will present a busy month for Moore. As soon as she returned from the Pan American Juniors on July 24, she headed to another championship in Kansas with the Cheetahs. She'll have less than a week of recovery before she steps on the track again for Motor City. But there's no worry, she said. She'll have family right behind her. "For these last two weeks I just want to have fun," she said. "My main focus is just consistency. I'll try to improve my marks, but I want to have a good time." And yet, even if that happens, Moore will set herself up for a championship and potentially an AAU age group record in the girls 15-16 division. She hasn't marked a final jump of less than 43 feet in the triple jump since June, and was over 40 feet in every single competition in 2017. 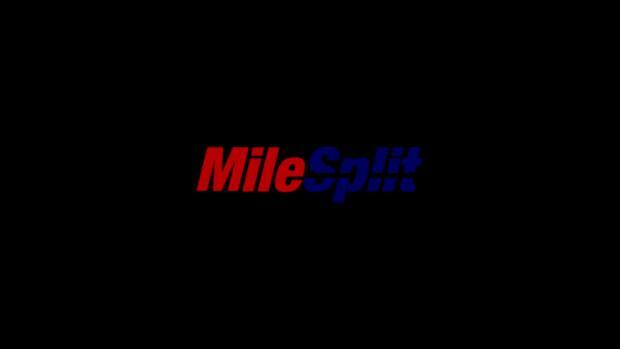 The national record in that division is 42-1.75, which was set in 2000 and is held by Ychlindria Spears. She may have a harder time earning a long jump record, held again by Spears at 21-1.5. But the always-competitive Moore doesn't flinch when asked if she'll try to go after either of them. 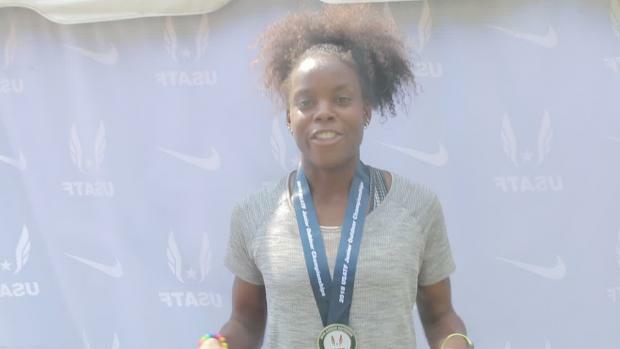 She also owns a USATF national youth record in the triple jump in the girls 13-14 division with a mark of 40-1.5. "I want to break another record," she said. "I will run the 4x100 relay too, so hopefully we'll get top three. I'm kind of interested to see where I'll be with everyone and how I'll do." Moore will be one of two Motor City Track Club members who competed at the Pan American Junior Championships. One of the programs long-time members, Cameron Cooper, an LSU signee and 800m runner, will be at the Games as well. "I think it's very good for our young kids to see," Jiles said. "To have our kids see them compete, it says something. 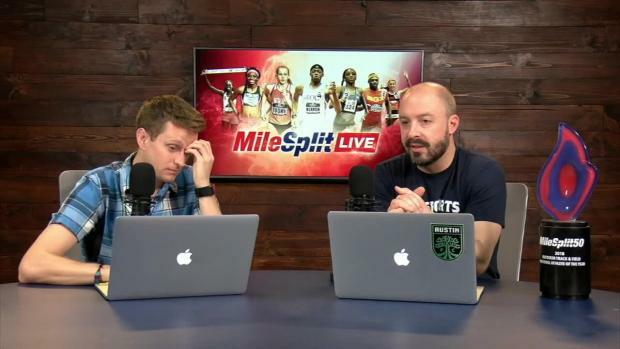 They are elite athletes. They are at a level that most kids would inspire to be at. It's inspirational and it's also an opportunity for them to break national records and help the club. "She may have grown up in Texas," Jiles added of Moore. "But she comes from a family of great athletes from Detroit." And so Moore will try to make inroads in the state where the family's pedigree first began. Maybe a trip to White Castle wouldn't hurt, either. "They are the best burgers," Moore said. "I can't wait to get them after the meet."